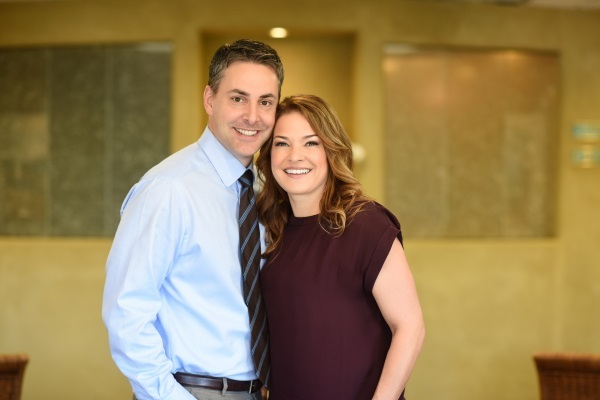 Dr. Lehman and Dr. Waggener met while attending dental school at Temple University. They were married in 2004 and have two little boys. In 2006 they decided to join their two separate practices into LehmanWaggener Professional Dental Corporation at the 80 Doctors Park Location. The doctors, team and patients have been delighted with the outcome. Running one practice together rather than two separate practices has given each doctor more time and given the office a real sense of family. The team gets together regularly outside of the office bringing their family and loved ones with them. Before having their boys Drs. Lehman and Waggener spent a lot of time traveling. They enjoy the outdoors, scuba diving, mountain biking, boating, and snowboarding. Both doctors also enjoy donating their time and funds to help others. They have closed their practice on multiple occasions to participate in Rotary trips where they provided dental care to underserved areas in Nicaragua and Vietnam. Dr. Jason Lehman grew up in a small, rural town about an hour from Hershey, Pennsylvania. In 1995 he received his BS in biology from the University of Pittsburgh. In 1999 he earned his Doctor of Dental Medicine degree from Temple University in Philadelphia. Dr. Lehman worked for two dental practices in Pennsylvania before moving to Santa Rosa and taking over dental practices from retiring dentists Dr. Bingham and Dr. Ririe. He is a member of The Redwood Empire Dental Society, The California Dental Association and The American Dental Association. Dr. Kelly Waggener grew up in Yorba Linda, California. She received her BS in biology from University of California Irvine in 1994. She attended two years of dental school at Northwestern University before transferring to Temple University. In 2000 she earned her Doctor of Dental Medicine degree from Temple University. Dr. Waggener completed one year of post graduate training through the ADA-accredited dental residency program at Lehigh Valley Hospital-Muhlenberg. In 2006 she received her Academy of General Dentistry Fellowship Award. She is currently a member of The Redwood Empire Dental Society, The California Dental Association, The American Dental Association, and the Santa Rosa Sunrise Rotary.